Don't worry I kill him in every zone I take him. Can't have if any other way. 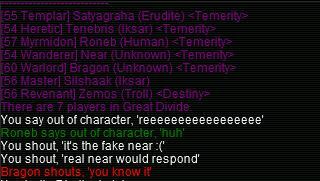 If this were Rallos Zek I'd nuke you during the CH rot. Better not be fibbin! See you soon.